The 2018 ride season is finished. Check back in the Spring of 2019. 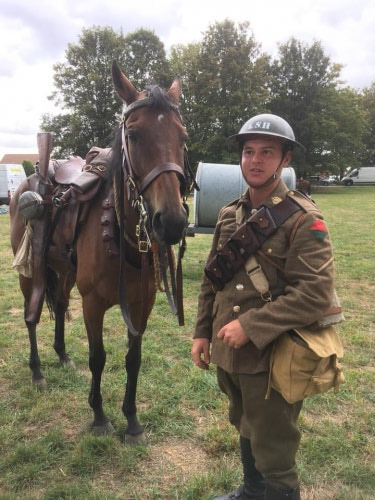 On the morning of August 16th, 2017, the Strathcona Mounted Troop (SMT) began their long trek to beautiful British Columbia. 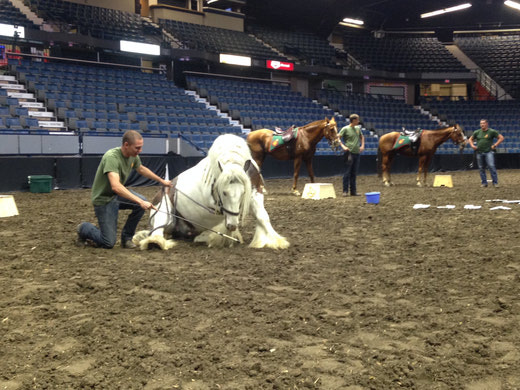 The day started off as usual, fetching and grooming horses, which is an easier task for some than others. 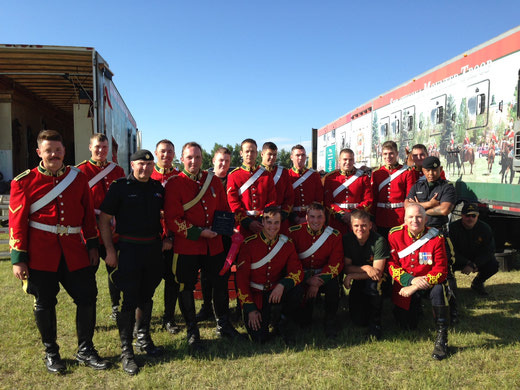 On 22 May 2017, 13 members from SMT headed east to Regina, Saskatchewan to partake in the Tattoo Royale, which represents the start of the Canada 150 Tour of the famous RCMP Musical Ride and the City of Regina’s birthday. 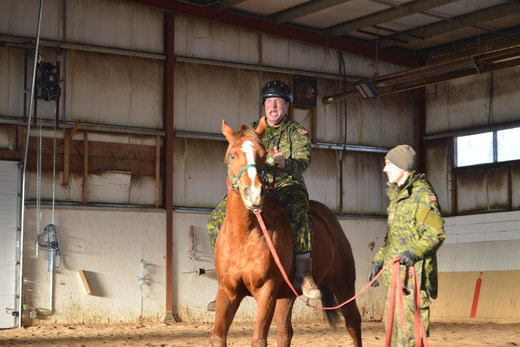 On Saturday March 25th, 2017 while most of the Regiment was enjoying the beginning of spring break, the Strathcona Mounted Troop was hard at work grooming and loading 18 of their best horses. 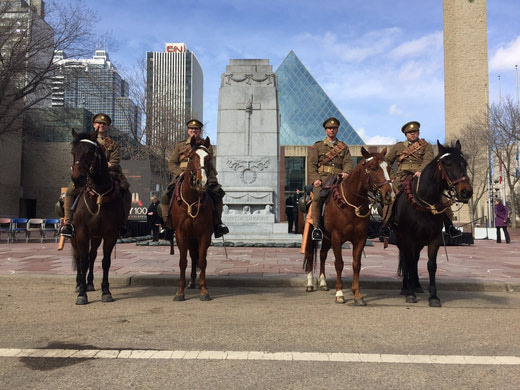 Vimy Ridge Sunday was a truly remarkable event here in Edmonton. 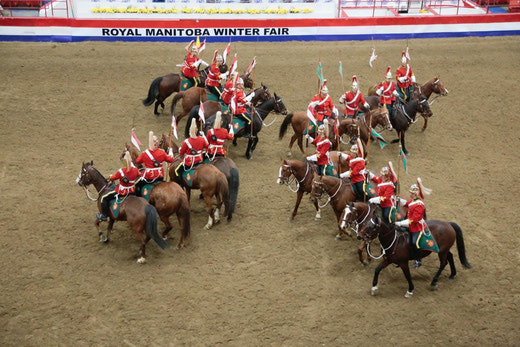 All the more special by your soldiers and horses that were the showpiece at Churchill Square. 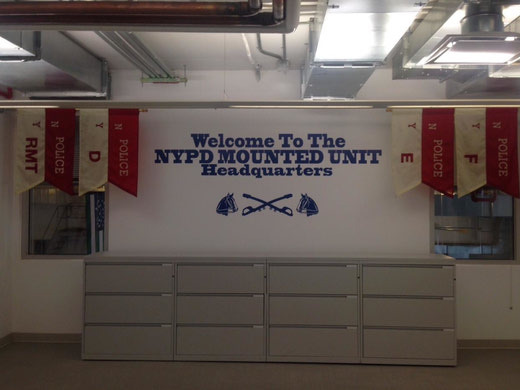 On 23-24 April 2016, MCpl Cam Davidson and I travelled to New York City to attend the 9th Annual North American Mounted Unit Commanders Association (NAMUCA) conference. On 24 May 2016, myself and MCpl Davidson attended the RCMP ride seminar in Ottawa, Ontario. There were 11 of us at the seminar and it was apparent from the beginning that we were clearly the best (and most humble) candidates. 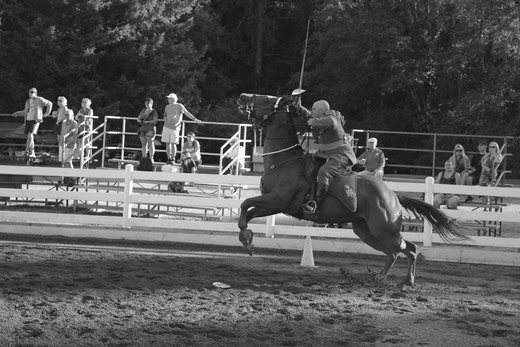 The Basic Equine Riders Course, or BERC, is the program that must be completed to become a rider in the musical ride with the Strathcona Mounted Troop. 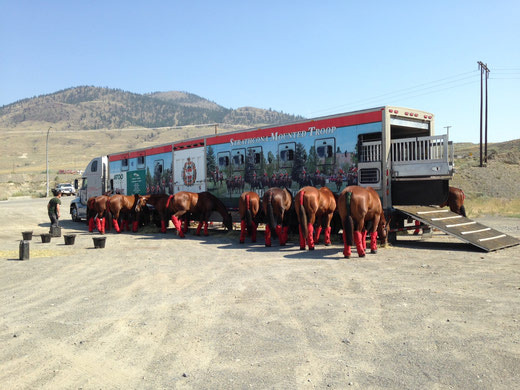 In the early morning of the 23rd of July, the Strathcona Mounted Troop (SMT) began the long trip to Vernon, BC. There were many miles to cover, and hot chow waiting for us at the end of the line. 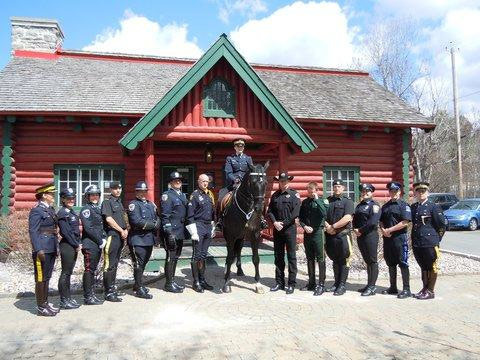 Glenn “Donut Santa” Olund, leatherworker, saddle maker, historical enthusiast, and collector came to visit the Strathcona Mounted Troop on Monday, 16 March 2015. 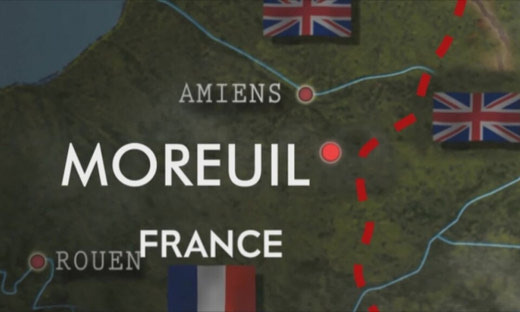 The day was Tuesday, 9 September 2014 and the Troop’s morale was high. 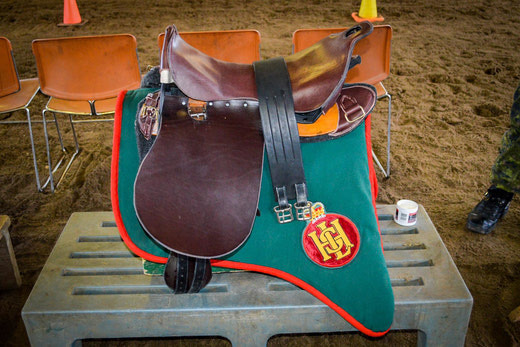 For some it would be the last time that they would ever be at the Spruce Meadows Masters, for others, it would be first of many that they would experience in the Troop. We started the day like any other, besides it being Saturday. We all trickled in, one by one in silence and by 8:00 we were already at work. 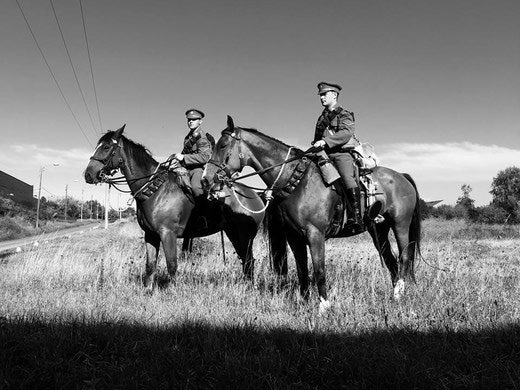 We’d done this many times before, now we had home advantage for the 1 CMBG Military Heritage Day ride. This year’s trip to Abbotsford started off quietly on the morning of 30 July 2014. The most we had to worry about that morning were the terrible mosquitoes we battled while loading the horses; the tail wraps were certainly well tested. 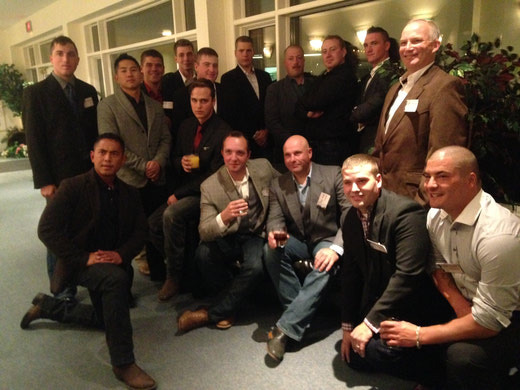 On Friday, 26 September 2014, the Strathcona Mounted Troop was honoured to be invited back to Spruce Meadows as guests for the 2014 Service Award Dinner held in Congress Hall. 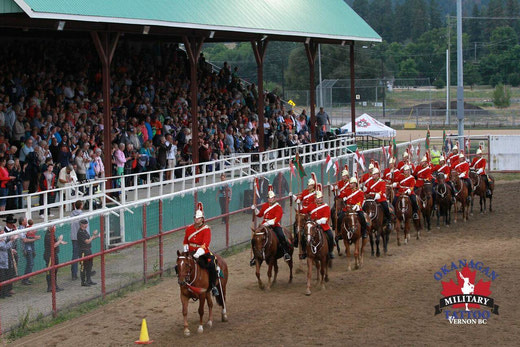 The 2014 Ride Season for the Strathcona Mounted Troop proved to be yet another extremely successful season. 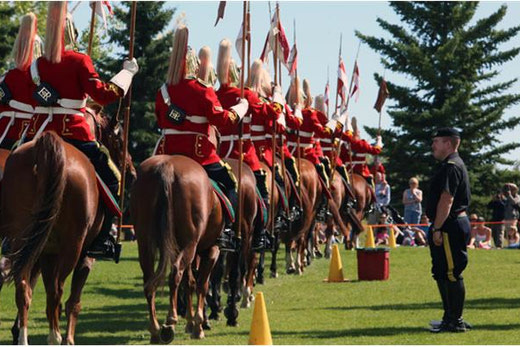 As per tradition, the Troop took part in every major Spruce Meadows tournament. 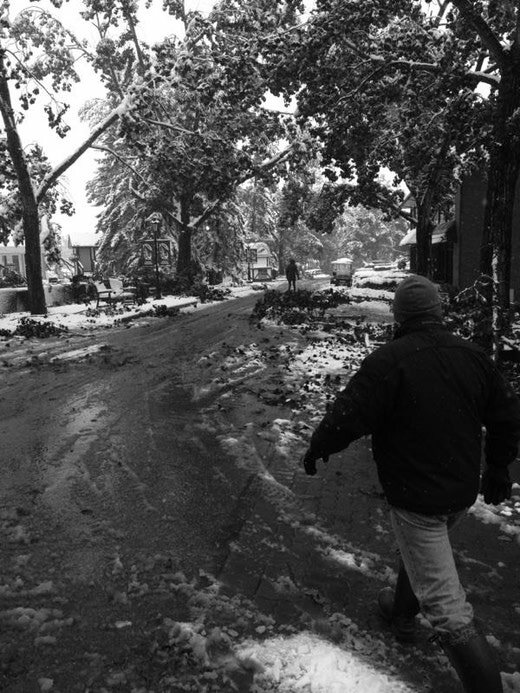 All I could hear were the thousands of voices cheering and shouting out at once, almost deafening my senses. 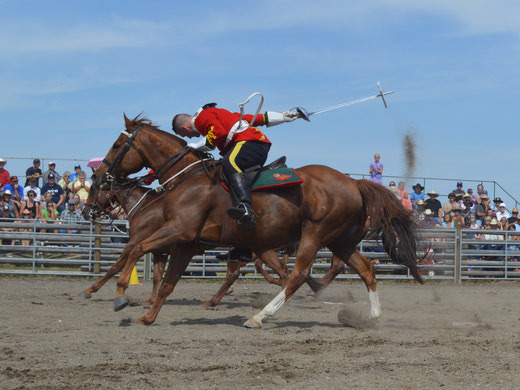 The Calgary Stampede Parade was upon me and, in that moment, I never felt more proud to be a Canadian soldier in the Strathcona Mounted Troop.